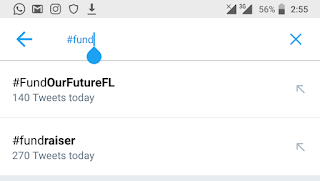 Planning a Funding campaign could be a challenge, and if you use Go fund me for your campaign, you will be looking for how to make a gofundme page go viral. The amazing thing about this post is that it's doesn't apply only to Go fund me users, but it also applies to users of all other funding platforms. GoFundme is a platform to allows users to raise funds for an event, campaign or even a to solve a tragic event like illness or Natural disasters. If you set up a campaign for your self, in the US, UK, and even in Canada, GoFundme is a free platform, and this post is a buzzer, because if you know how to make a go fund me page go viral, then it would be 100% cost free because Go fund me is Free. To make your go fund me page go viral you have to put in work, because as they say; nothing good comes easy. Below are some steps on how to make your gofundme page viral. 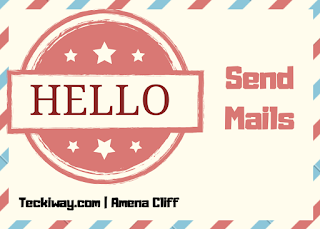 Sendiio is a software that can mass share message through: Facebook, Email, and even text messages, all from one dashboard. It costs higher but through my link you will get it for $47. 1. Try to make your Gofundme Page Attractive and beautiful. Your Go fund me page has to be attractive, in order words, use the right words, the right images and videos (if possible). This is one of the best ways in my whole research on how to make a go fund me page viral, and this is because even though you have the proceeding 6 steps correct, and you fail here, you won't get donors. Add a bright and descriptive image or video. The image or video should be descriptive enough to let the personal know what exactly you are organizing. 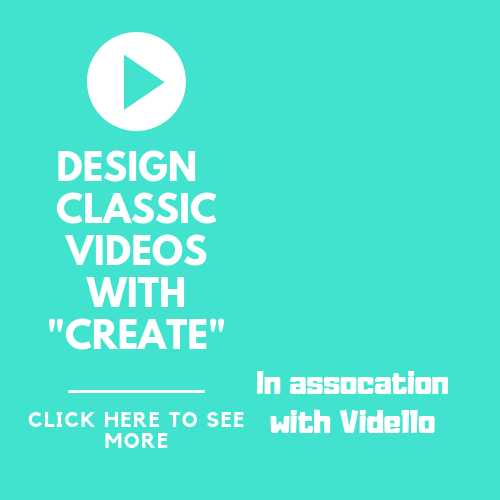 While adding a video, make sure the video isn't too long, and and the images don't have too much text that takes away the sense of the campaign. If your campaign is on someone who is sick to death, try to portray an emotional situation, this should move the person to actually donate. Definitely this is also a trick on how to get more persons to donate to your fund raising. 2. Share the Gofundme page to Face book, Twitter, IG and others. 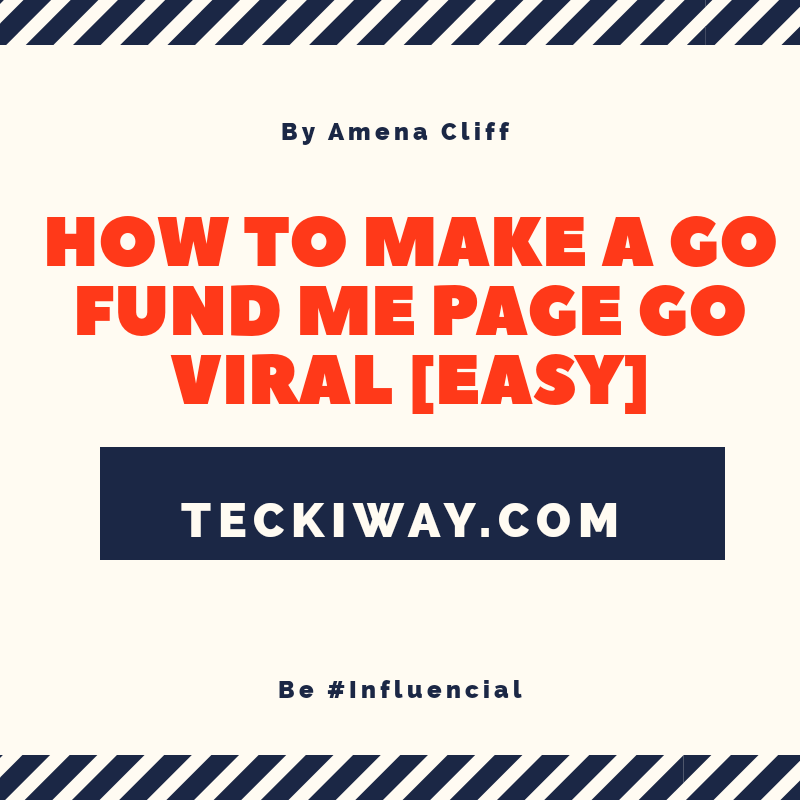 You need to know how to make a go fund me page go viral? This is the bulk of it all. If you share your post to your friends, they will definitely donate, most of them though maybe not all. Face book has improved greatly on connecting people, so the odds are high that if you tag your friends on the funding post, it will appear on their Friend's news feed as well. 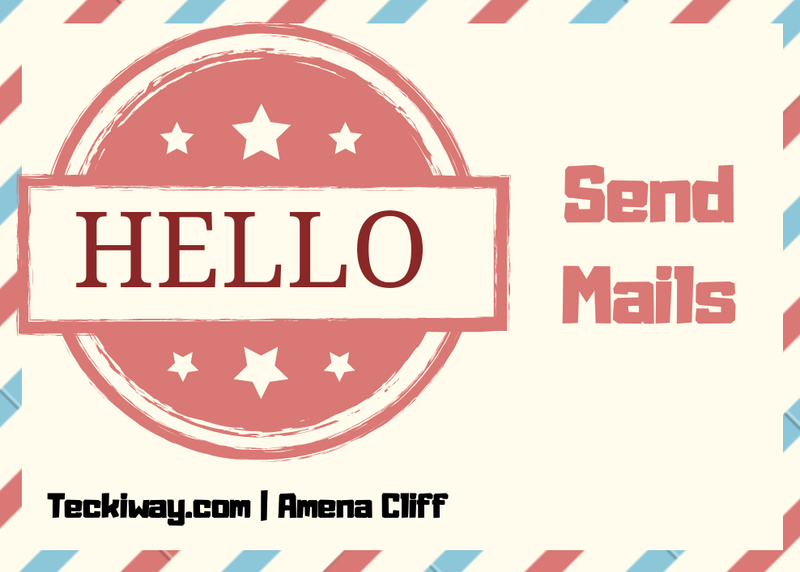 This would lead to more click through rate and if you did a good Job in step 1. You will get enough conversions or donations. One of my Favourite trick on fund raising is using #tags or hash tags. Using # tags like: #Fundraising, #fundraiser #Funding or even #helptheneedy, that are related to your post could help get more donors. The picture below shows how well, the #fundraiser performs. In summary one of the best ways to make a go fund me page viral or popular is making other person's know about it. I know this cost money, but it's not going to cost much. You have to open a Face book page to run ads on Facebook. I recommend ads for Facebook because it has more users, and it also has a fund raising system to. Facebook ads are also very cheap, and you can use $1 a day to reach over 2000 persons. 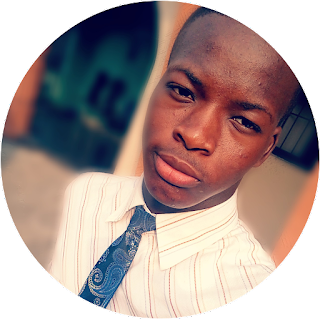 You will need to know how to do proper Facebook ads targeting, and also know how to budget your money. As for Twitter, it's very cool, it's conversion rate is slightly higher than that of Facebook. So it's actually your choice to make, on which platform to run ads on, but make sure you do all things right. TIP: DON'T target countries where you know that things are hard for them or are facing economic hardship e.g Nigeria. Rather target users in the US or UK and even in China and Dubai. One way on how to make a go fund me page viral is mailing a lot of persons (geo targeted mails). A good tool, to find mails like this is email Hunter. Make your mails straight forward and format the mail just like you should to your go fund me page as we discussed in point one. One other way on how to make your go fund me page viral is asking influencers to share your campaign. This can go a long way to help you hit your Target goal. One example of an influencer that this ready to help make your go fund me page viral is Jay shetty. Reach out to him on Facebook or even Twitter. 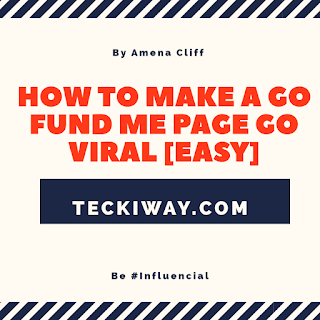 Teckiway, yes that's the blog you are reading now can also help to make your go fund me page viral, when you place ads (Private) on the site. Tip: You can make a post on Twitter and use the #tag : #bloggerswanted or #bloggersrequired. If you help in sponsoring a child to school, you would love it if you see how far the child has gone right? 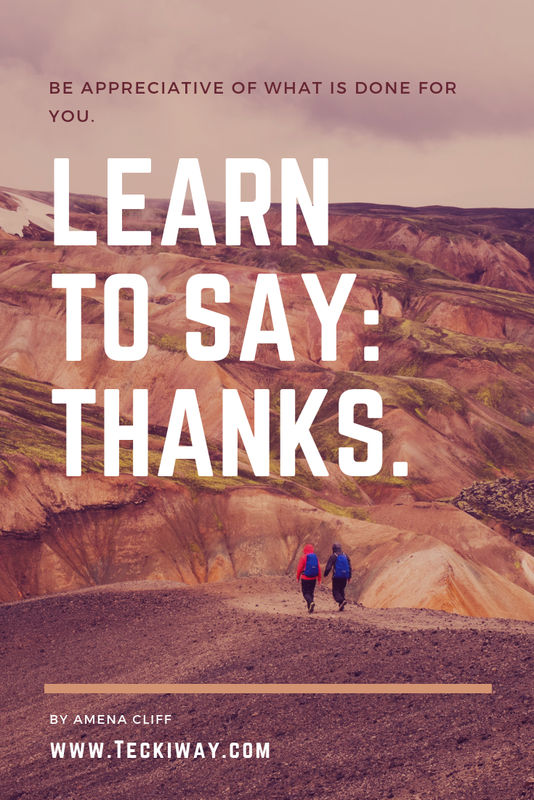 They would also appreciate a thank you. Update on the condictions of who ever they may have helped. You donors could actually be another answer to how to make your go fund me page viral, this is because, when you give them updates,(genuine ones) they are more likely to share your page with friends to also donate. You could also ask them to share your page if they wish to. 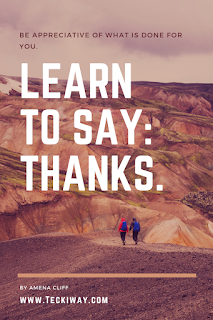 Always show that you appreciate what you have gotten from your donors. They all trued and spent their hard earned money, they need to be complimented. Some of them would agree that thank you note to their friends who can make your go fund me page popular. This is a very nice guide for those who would want to know how to make a gofundme page viral or popular. As you carry out these steps do well, to share this post with those who may need it.